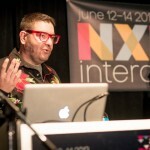 Guest post by Saul Colt, Principal – Kinetic Startup Innovations, Kinetic Cafe & Head of Magic!, SAUL! The Idea Integration Company. The views expressed here are solely those of the author and do not reflect the views of Food+Tech Connect. Technology is permeating every aspect of our lives. We use it to find dates, track calories, count our steps and even to manage our sleep cycles, increasingly quantifying ourselves. 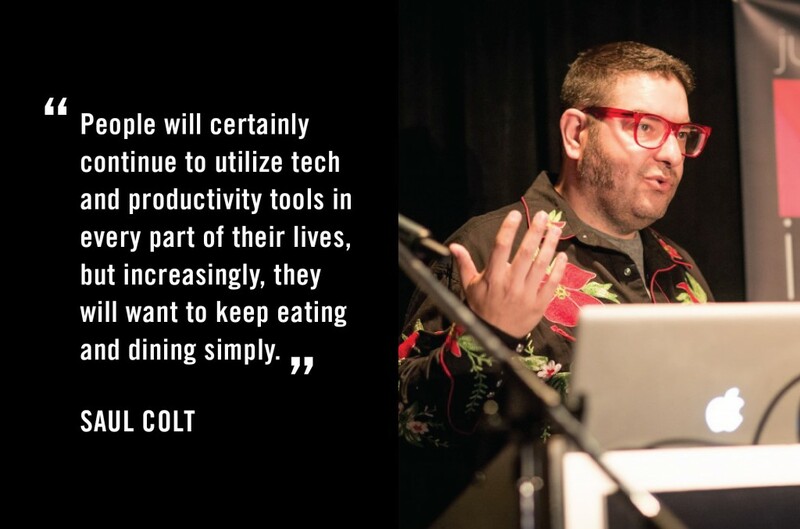 As we make data and “the future” a part of how we live our everyday lives, we are knowingly or unknowingly giving more and more of the dining experience over to technology. Where to dine is a question that used to be decided by asking a friend. Now it’s common practice to research places online and decide where to eat via apps and blogs, rather than relying on people we know, like and trust. Technology is moving forward so quickly and, admittedly, adding a great deal of value. But at the same time, our bodies can’t keep up, and eventually people will want to slow down. The logistics of food production are so complicated, and people are becoming so disconnected from understanding where food comes from, that a backlash is inevitable. And now, many people are hungering to achieve more balance in their dining habits, both at home and while eating out. For example, in response to demand, AT&T Park – the baseball stadium of the San Francisco Giants – recently announced that it has installed a 4,320 square-foot edible garden, the first of its kind in a sporting arena. The garden will grow seasonal produce year-round and will be host to outdoor classes on sustainability, urban farming and healthy eating for Bay Area kids. Additionally, the produce grown in the garden will be used in the Ballpark’s food offerings. Baseball stadiums are the last place in which you’d expect people to request a healthy option, so this example is certainly a strong indicator of the collective desire to slow down. People will certainly continue to utilize technology and productivity tools in every part of their lives, but increasingly, they will want to keep eating and dining simply. As we look backwards for inspiration, instead of forwards, the slow food movement will continue to grow and the demand for local, organic ingredients will increase. The same mindset that provoked the edible garden space at the stadium will carry over to the home. And by using products like our Windowfarm and plant subscriptions, people have an opportunity to go back to nature, even if they live miles from green spaces. Growing food in their homes allows them to put an end to wasted produce that goes bad in the refrigerator and teaches them agricultural skills that have been lost to many. While most people don’t have the time and resources to commit to large scale urban farming, growing a few plants for food at home is an easy way to nurture the connection to food, slow down a little and make a difference in our day-to-day lives. What it really boils down to is that growing our own food can make us feel good: physically, intellectually and emotionally. Gone is the notion of a science fiction-esque food future, in which entire meals are condensed into single pills. Dining is a sensory experience, akin to art, and maybe one of the most passionate things people can do together (in public). We all need to preserve that. The food industry should not leverage technology to replace fresh ingredients, prepared with love. Instead it should embrace technology to help source better food and improve the dining experience. Saul Colt is the Head of Magic at SAUL! The Idea Integration Company. 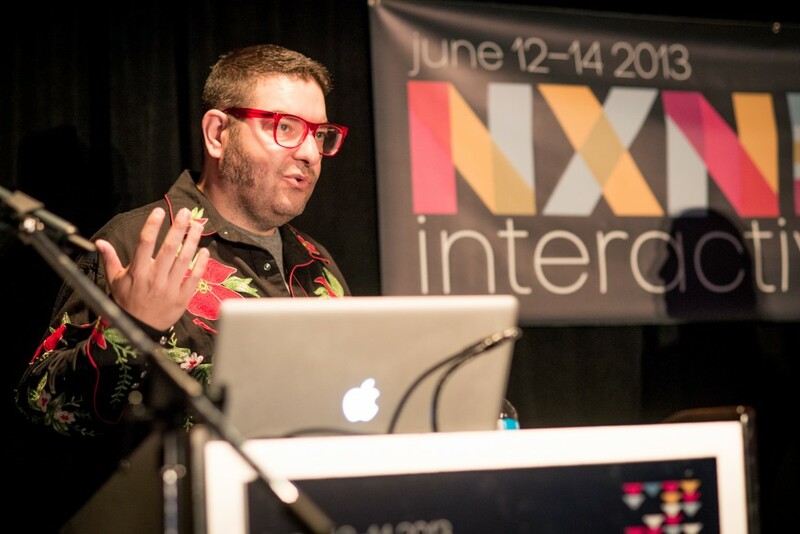 In his career he has been named as one of the iMEDIA 25: Internet Marketing Leaders & Innovators as well as been called one of Canada’s best community builders/experiential marketers. NYT Best selling author and Internet Pioneer Chris Brogan once referred to Saul as “exactly who you want representing your company” and that message has been echoed by media properties ranging from Inc to Forbes Magazine. In a previous life Saul was the first international employee of Zipcar and the person responsible for launching Zipcar into the Canadian marketplace, was a key person in the growth of FreshBooks.com (The #1 Cloud Accounting service for Small Business Owners) and even knows what it is like to work for a large corporation from his time in a leadership role at Rogers Communications. On top of all that Saul is also a Professional Speaker and Consultant specializing in Social Media, Customer Service, Community Building and Word of Mouth Marketing. Saul loves all people, especially women and is tired of people asking him to remove his shirt. In his free time he collects Nike Air Force One sneakers, watches lots of Movies and just happens to be the Smartest Man in the World.